RT Reflex - new template from the popular studio RocketTheme, built on the Gantry Framework. 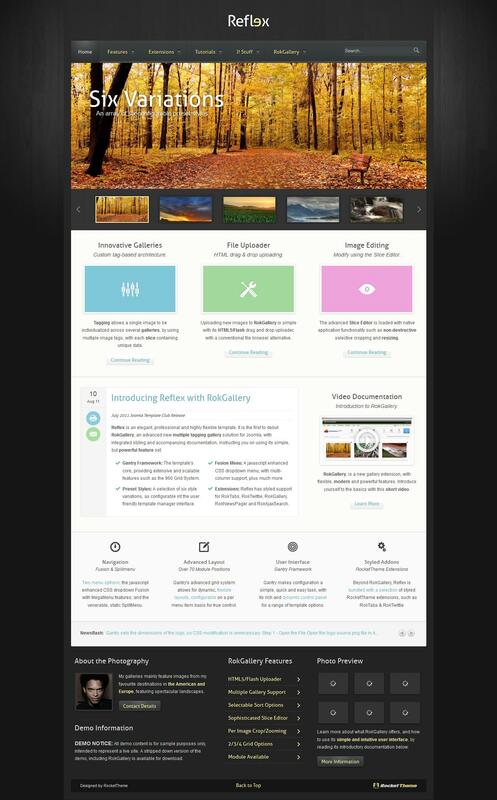 In this template, first presented a new extension studio RokGallery Extension - a powerful multifunctional image gallery of the new generation, which uses a new design concept and with the support of a huge number of settings. The template has 6 built-in color variations, 78 modular support position and all the latest versions of Internet browsers. Fully compatible with Joomla 2.5 and 1.5.